In my earlier post, you must have given some thought to how actually these 5 ways bring success to business fan page. In continuation to the same post, let me add some more tricks to make your business page successful and get more traffic.Previous posts like 11 important ingredients every fan page must have or using of QR code for business pages, some points challenge me to think how actually will some another point or trick will help fan page owners to bring more traffic to their pages. After every post, I get some more ideas that should be shared with you. This time it is one important aspect that I have not added in my earlier posts. That is the use of "Hashtags" in the Facebook posts or fan pages. Last year, Facebook introduced the feature of "hashtags" just like Twitter. Actually now a days there is a buzz of the feature not used properly. In Twitter, as there is limited characters that are allowed to post, the use of hashtags is must to inform people searching for a particular keyword. That keyword is added with a hashtag as a prefix. Each hashtag has its own URL and when a user clicks on that hashtag, the information related to that word is displayed on the list of tweets. 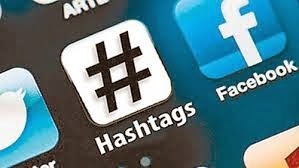 In Facebook, use of hashtags can be done to start a particular topic in a group or a fan page or a regular wall post. For business fan pages, follow the steps to use hashtags. Better ways to use hashtags will be different for different business pages in Facebook. But keeping these simple tricks to use hashtags in Facebook fan page will definitely get more visitors to your fan page.